The Augusta Choral Society will undertake one of the music world's greatest treasures when it presents MESSIAH on Friday, April 19, 2019. According to sources, in 1759 on April 6th, Handel attended a performance of MESSIAH at the Theatre Royal in Covent Garden. Eight days following, he was dead. after he heard MESSIAH for the final time, the ACS will resurrect Handel's April tradition of MESSIAH. We have judiciously chosen approximately 100 minutes from across all three "Parts" of the oratorio that results in a telling of the story that has artistic integrity and is also approachable for modern sensibilities. MESSIAH represents a genre generically known as the Handelian Oratorio. While musical elements are similar to that of the Italian opera serial popular in the late Baroque, the "oratorio," is a concert work and not generally staged or costumed. And, in the Handelian version, oratorios feature the choruses as, or more, prominently than the recitatives and arias - - or, solos. In most of Handel's oratorios, there are named characters who deliver text via recitative and comment on the action via aria. MESSIAH is an exception. There are no named characters and no examples of mono- or dialogue. Instead, the story is conveyed through carefully selected scripture that tell (or sometimes imply) the story. ​And although MESSIAH is usually heard in the USA during the Christmas season, it was intended as a work designed for the LENTEN season and, thus, is being performed by the ACS in 2019 in its "natural" setting. 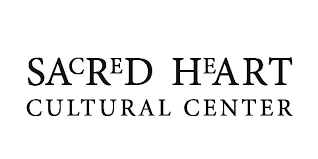 The performance will be held in the inspiring space of Sacred Heart Cultural Center in Augusta, GA, at 7:30 pm on Friday, April 19th. Tickets can be purchased ONLINE, by telephone (706) 826-4713, or at the door should tickets remain.